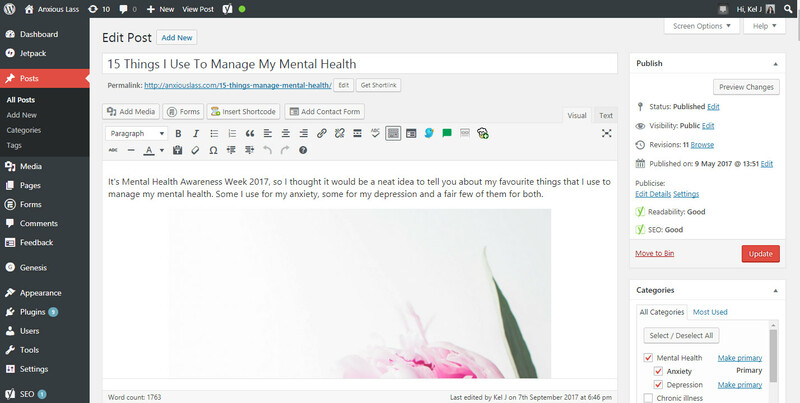 Since my How To Start A Mental Health Blog post was so popular and because I’ve been inundated with messages from those of you who want to know more about blogging, I decided it was about time I start an actual blogging series. I’ve been blogging for a few years now, both with this blog and my photography blog and I’ve also helped write blog posts for other companies, so I think it’s probably about time I share some of the things I’ve learned along the way. Hopefully this will help you save you a lot of time and headaches that I had to endure when starting out because I had no idea wtf I was even doing. 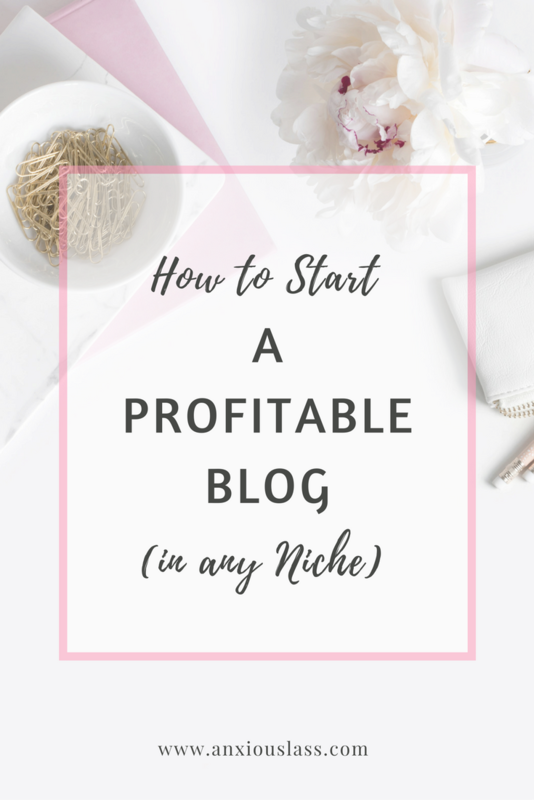 To begin the series with purpose, here’s my guide on How To Start A Profitable Blog In Any Niche… ’cause let’s face it, if you’re not blogging about something you love, will you really stick with it? I personally think if you’re going to make money from something like blogging, the main subject of your blog should be something you’re passionate about. If you’re talking about something you love, it will come across in your writing and it will especially show when you’re promoting something on your blog. First tip here, is to check the blog name you want is actually available. Not just as a domain name but all across social media too. It’s so much easier for you and your future followers if your social media handles are all the same on each platform. 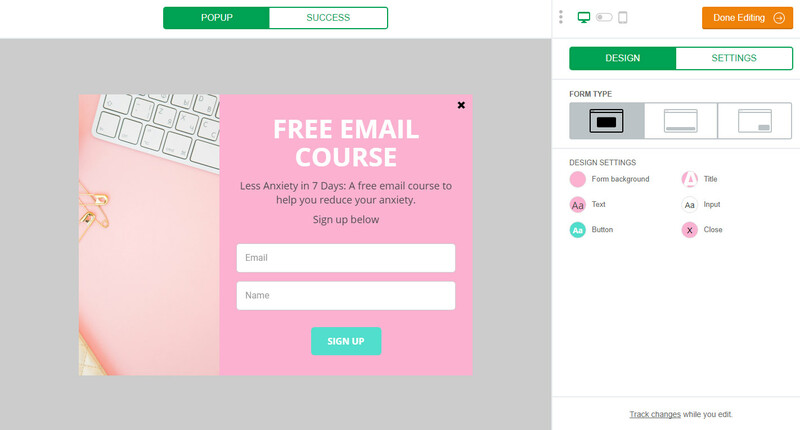 When I chose Anxious Lass, I made sure it was available everywhere, so I could have the anxiouslass handle on Facebook, Twitter, Instagram, Pinterest, YouTube and Google. I made the mistake of not doing this with my photography business and my social media handles are all different and it’s such a pain in the bum! Once you know that you’re blog name is available, it’s time to set up your hosting and domain. I fully recommend going for a great hosting company from the get go because let me tell you, it’s NOT fun having to transfer your website over to another hosting company a year or so down the line and if you want to start making money right away then you don’t want to get caught up using a free blogging service. Self hosted is definitely the way to go! It’s also much cheaper for you in the long run because if you’re using a free blogging service and then decide you want your own domain and premium features/themes further down the line, you will end up paying out of your arse like I did a few years ago, only to still have limitations on what you can do. 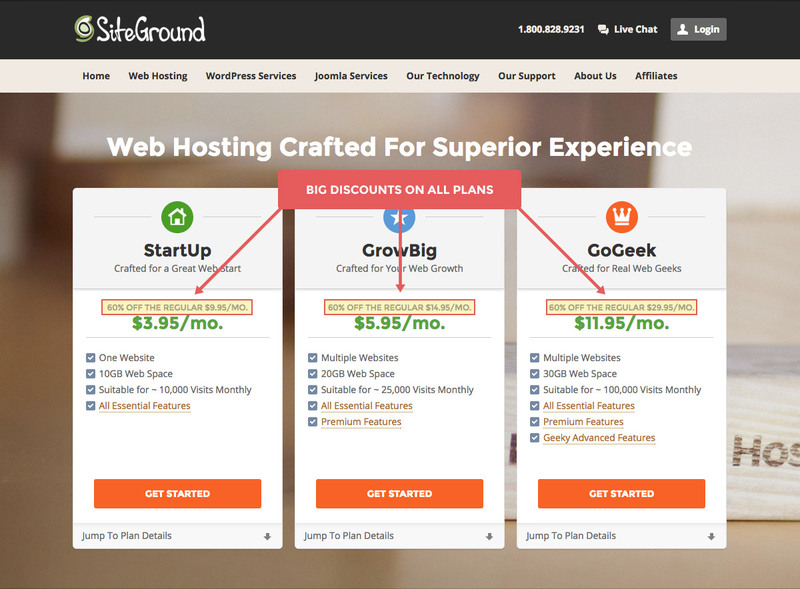 I strongly recommend using SiteGround. It’s the best hosting platform out there in my opinion and when you’re planning to grow your blog and get serious traffic, you really don’t want to be dealing with lots of downtime like you would get with other hosting companies – I literally saw a massive traffic increase once switching to Siteground, as there was no downtime compared to my old host and my blog was actually faster loading than before. It’s also not as expensive as you would think. You can get their StartUp web hosting for just £2.95 for the first month and then it’s only £8.95 a month after that. Once you have your domain and hosting set up, I’d highly advise installing WordPress. This is not to be confused with the WordPress.com blogging website. This WordPress works by installing it onto your own self hosted website, letting you add plugins and all sorts of great themes.. it’s the most customisable blogging system ever and I honestly wouldn’t be able to run this blog without it. It’s also completely free! You can read the WordPress installation guide by SiteGround here. In my blogs earlier life, the design was pretty rushed and not very well put together. It was white and red and kinda angry looking and I was using a free theme that I couldn’t customise much. When it came to thinking about which direction I wanted to go with my blog, the design and feel of it became a hugely important part of the process. I wanted people to feel safe and invited when they visited my blog, I wanted a space that seemed positive and hopeful. I decided I wanted white, pinks, light blues and gold to be featured colours, they all felt fun and friendly to me. I also had a vision in my head on what sort of layout I’d like on my blog and I needed it to work better with mobile too. I came across Pretty Darn Cute Designs and their Fun WordPress Theme was exactly what I wanted for my blog. I had to install the Genesis Framework first and then install the Fun WordPress Theme but I figured it was a fab investment since I would never have the time or patience to create a theme from scratch that I’d be happy with. There are lots of great WordPress themes out there for blogging, you can easily find some for free on their theme database or if you’d like something extra special and customisable, there are lots of gorgeous themes available on Creative Market such as the Paisley WordPress Theme or the Natalie WordPress theme which I actually use for my photography blog. This is super important if you want to make money with your blog, now or in the future. Collecting an email list will be extremely valuable, especially if you go on to sell your own ebook, course or want to promote a new blog post and it’s pretty imperative that you allow people to sign up right away. You might see that I have several ways of allowing people to sign up to my email list, including a pop-up form, a sidebar form, a form at the bottom of blog posts and a form directly at the top of my blog. I use MailerLite for all of this, in fact, I moved over to them only a few months back from my old provider because there was so much more I could do with them. 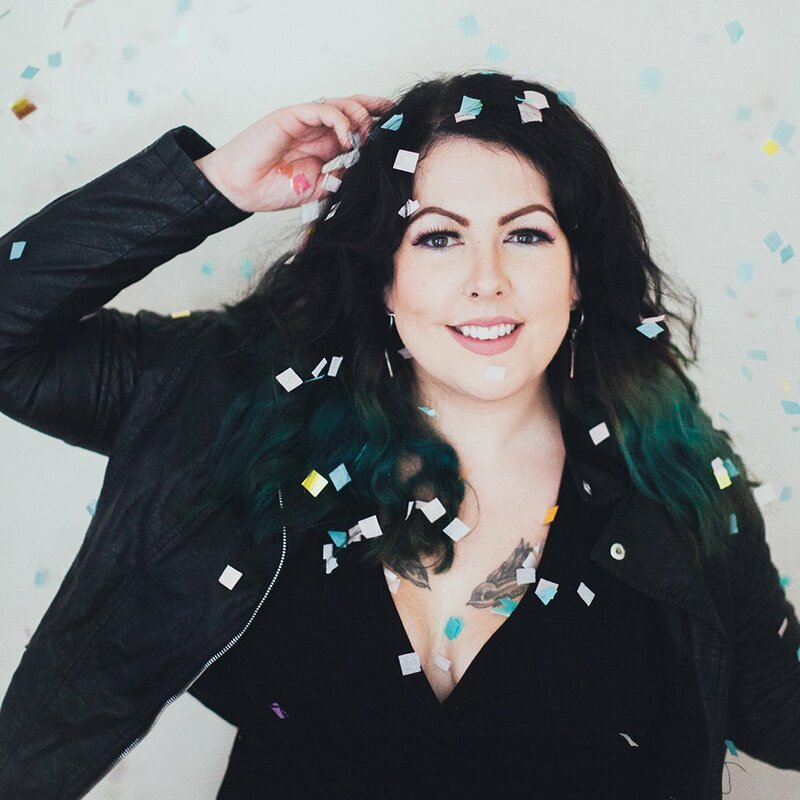 Automation was the biggest thing for me, as I wanted my email list opt-in (this is an incentive you have for people signing up to your list) to be a free email course. So I needed to be able to have automated, scheduled emails go out to my readers as soon as they sign up. You have to pay straight away for this privilege on most email services but with MailerLite I could do this for free, up until I hit the 1,000 subscribers mark. Pretty cool! Super duper important. You need to know how many people are visiting your blog and how they’re finding you to really make an assessment on what is working and what isn’t. This also helps you to find out which content on your blog is the most popular. I use both Google Analytics and Jetpack for WordPress. Why do I use both? Google is more in-depth but Jetpack works directly with WordPress so I can see my stats as soon as I login to my blog. I like the best of both worlds really. Plus, Jetpack comes with other good stuff like more commenting options and sharing buttons, so it’s worth having anyway. Pinterest: 96.50% of my traffic came from Pinterest this month and it’s the platform I put the least effort into. How do I do that? Tailwind! 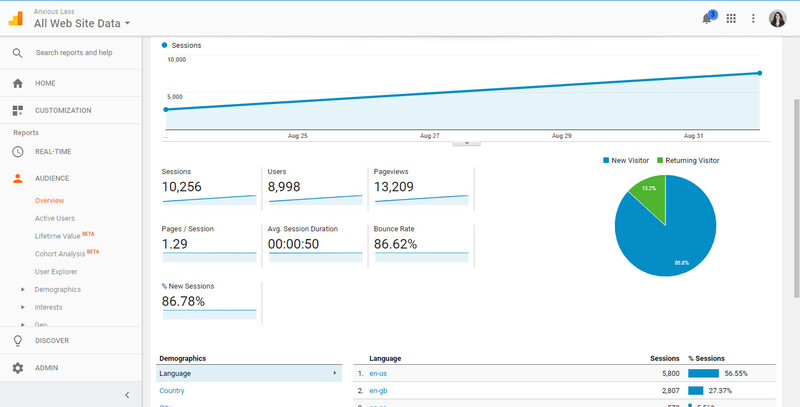 My monthly traffic went from 2,000 to over 10,000 in 3 months thanks to Tailwind. All I have to do, is schedule my pins with their browser plugin and they automatically post my pins during all the best times of the day. I try to schedule at least 50 pins per day and I could never do this manually on a daily basis! You can get a free account and that will allow you up to 100 pins which you can spread out but I definitely recommend upgrading to their plus account – but be sure to pay for the year rather than monthly as you get unlimited pins this way! Another thing you will need to do with Pinterest to gain super traffic is to join group boards, you can find a definitive list of group boards to join on PinGroupie. Personally, I would spend a good couple of hours emailing the owners of lots of group boards because the potential of your pins being shared lots is so much greater when you’re in groups. Google: Blogging is great for Google as you’re constantly keeping your website fresh and churning out new content but I would highly suggest installing the Yoast SEO plugin for WordPress. The free version of their plugin is great and it’s what I use to make sure each of my blog posts is optimised perfectly for search engines. Another reason to have WordPress installed on your blog… you can get awesome free plugins for blogging perfection! Facebook: This is another of my top referrers and not just from my Facebook page but from blogging groups, as well as groups that relate to my niche. A lot of blogging groups offer link shares and commenting threads where you can engage with each others blogs and follow each other. This is great for getting new eyes on your content. Bookmarking Websites: Such as Reddit and StumbleUpon. These two have generated lots of traffic for some of my blog posts in the past but success can be quite random on these websites. You also have to share things other than just pure self promoting as that can lead to your account being banned or not being seen but it’s worth it for those times where your post may go suddenly viral. Twitter: This is another one I use often because it’s helped me grow an actual community for my blog, making my engagement much better and more meaningful. You may not get loads of hits from Twitter but you’ll make friends in your niche and that’s always good to have. Taking part in twitter chats really helps. The short explanation of affiliate marketing is: you like a product, you recommend said product on your blog, you make a commission on that product. Awesome! But how? There are several affiliate schemes you can join, and some products have their own specific affiliate program. If I really like a product or service and want to recommend it, I search “product name affiliate program” to see if they have a program I can join. My favourite affiliate scheme by far though is ShareASale, it’s free to sign up and once you’ve signed up you can apply to be an affiliate for LOADS of companies. So it’s the perfect scheme to join no matter what subject your blog is about. They also provide banners as well as text links for you to share and you can create custom links. Just check the terms for each company you apply to be an affiliate for, as each company will have a different commission available. Another great affiliate scheme is Amazon Associates. I mean, Amazon has everything, so you can find plenty of products to recommend for every kind of blog. The great thing about being an affiliate for Amazon is that people already trust Amazon, it’s a well established company and your readers will have probably purchased from there before, so they’re more than likely willing to purchase from there again. There are several different ways you can implement ads into your blog and get paid for them. One way is to sell ad space or display ads in your sidebar for example, straight to sponsors, but this may take a while as you’ll need to gain a decent following first. Another way is to use programs like Google Adsense or Media.net, both of which I use on this blog, as you can put these in your blog straight away. These methods won’t make you big bucks unless you’re swimming in blog traffic but it will increase your earnings with some passive income, as once you’ve placed the ads on your blog, you don’t need to do anything else for them to earn you money. Companies often sponsor blogs through things like paid guest posts, paid reviews and even mentions on social media channels. Once your blog has gained some traction and you’re getting a good amount of regular visitors every month, it’s not too difficult to find companies who will happily sponsor you or pay you to be an influencer. You could sign up to ELLEfluence and connect with brands or you could simply pitch to brands you like. Brands may even contact you themselves if they like your blog. You don’t even have to have a massive following to be sponsored, as some companies prefer smaller bloggers but with better engagement. Another great way of creating a profitable blog is to sell your own products, using your blog as a platform. Many bloggers go on to selling e-books and e-courses through their blog, making hundreds, if not thousands. If you’re already writing amazing content for free, you may as well put together something you know your readers will like and then sell it as a bonus on your blog. You could even get people to sell it for you by creating an affiliate program. I use SendOwl to sell my book and for my affiliate program. There’s also a 30 day free trial. Perhaps you’re blog is about health and you can offer 1-1 nutrition advice, or your blog is about marketing and you can offer online coaching. Using your blog as a platform to sell a service is a great way of building an income, as you’re already driving people to your blog who are interested in the service you’re selling.